When it comes to performing well in the NHL, timing is everything. If you are an unrestricted free agent, you want to save your best for that season. It’s all about performing your best when your next contract is at stake. If you are a UFA now and performing well, that’s all the better for you. The eyes of the hockey world are watching you perform on the grandest of stages. Teams see your performance, and discuss if you would be a fit for them next season. When multiple teams are interested, then a nice payday could be coming your way. With that said, we now check in on the Conference Finals and rank the Top 5 remaining UFA’s remaining in the playoffs. These 5 players will be sought after commodities once July 1st hits. Overall, the free agent pool isn’t terribly deep. But these players will still garner attention. 5. Francois Beauchemin, Age 35 as of June 4th, 6’1″, 208lbs., Left-Handed Defenseman. In 12 games in this year’s playoffs, he has amassed 6 assists, and is +5. This is a solid showing for someone who is about to enter their age 35 season. Gone are the days of being a top pair defenseman. 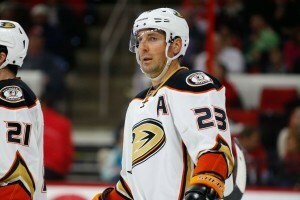 But anyone who is looking for a solid Top 4 option who is physical, Beauchemin is worth a look. Word is he wants to stay in Anaheim if possible. If the Ducks don’t renew, you can do much worse than signing this veteran. 4. Brad Richards, Age 35, 6″0″, 199lbs., Center. Like Beauchemin, Richards has had a decent showing in the playoffs. In 13 games, Richards has 2 goals and 7 points, and is +5. After a slow start, Richards has really picked his game up. It took most of the season for Richards to pick up on Coach Joel Quenneville’s system. Now that he has that under his belt, he has turned that into a solid showing. After the Rangers bought him out, Richards wanted to use this season and playoffs to rejuvenate his career. Mission accomplished so far. Teams will be interested in Richards, and what he can bring on and off the ice. 3. Matt Beleskey, Age 27 as of June 7th, 6’0″, 204lbs., Left-Winger. Beleskey picked quite the time to have his 1st 20 goal season. In 65 regular season games, he finished with 22 goals and was +13. He had a slow start to the playoffs, but has since picked it right back up, scoring 5 goals in 12 games. He scored in back-to-back games against Calgary, helping the Ducks get a quick start in that series. He seems to be hitting his stride just at the right time. Anyone looking for a potential 20-goal scorer who can contribute physically as well, should look at Beleskey. He’s coming off a contract in which his cap hit was just $1.35 million. He will get a nice raise this coming offseason. 2. Martin St. Louis, Age 40 as of June 18th, 5’8″, 180lbs., Right-Winger. Just when you think he is starting to slow down, St. Louis manages to find ways to keep producing. He scored his 1st goal of the playoffs in Game 4 against the Lightning, helping the Rangers tie the series. In 74 games this season, he scored 21 goals, and has 7 points in 16 playoff games. You do have to wonder at Age 40, how long he wants to continue to play. But it sure looks like he still has lots left to give, if scoring 21 goals is any indication. If the Rangers don’t resign him, contending teams looking for a right-winger should give St. Louis a look. 1. 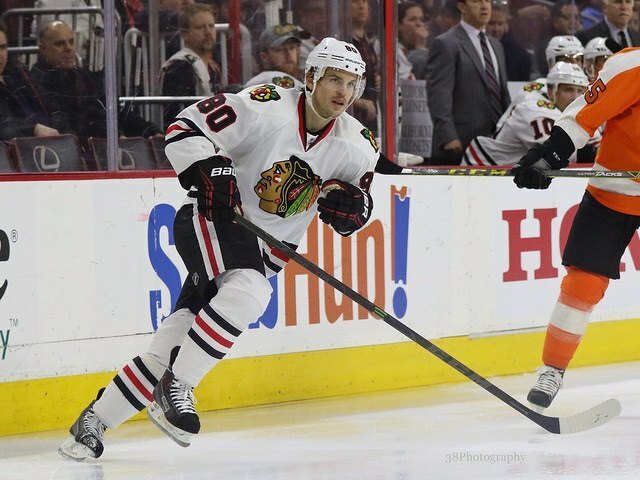 Antoine Vermette, Age 33 as of July 20th, 6’1″, 198lbs., Center. Looked at as one of the more sought after commodities at the trade deadline, Vermette hasn’t lived up to what the Blackhawks had hoped for. In 10 playoff games, Vermette has just 1 goal. He started the season in Arizona. He scored 13 goals in 63 games, and was -23 on a bad team. The Blackhawks hoped he would be rejuvenated by the possibility of a deep playoff run. Despite the struggles, he will still be sought after in the offseason. He can still help bolster the depth of a team looking for a 2nd or 3rd line center who can take draws. Just don’t expect Chicago to resign him, given their cap issues. There you have it, the Top 5 UFA’s remaining in this year’s playoffs. Others considered were Tomas Fleischmann, Johnny Oduya, Michal Rozsival, Kimmo Timonen, James Sheppard, Matt Hunwick, and Brenden Morrow. The pool isn’t all that deep. But just wait until next year at this time, to see if Steven Stamkos has a new contract by then. If not, all the talk will be about him.